Have you heard that Monique Dillard from Open Gates is doing a BOM? For F-R-E-E! 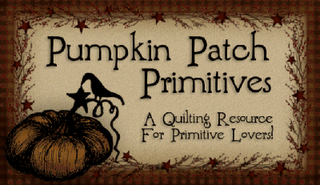 She has a group of bloggy gals sewing along with her which gives us a peek of the same block made 6 different ways! LOVE THAT! So, after spending eons looking for the right look, I decided to drag out my Maison de Garance bundle and join in the fun. Of course I'm late to start but I'm only one month behind - Hey! 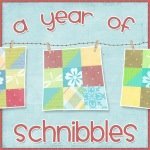 It's still February so this month's block is not considered late! 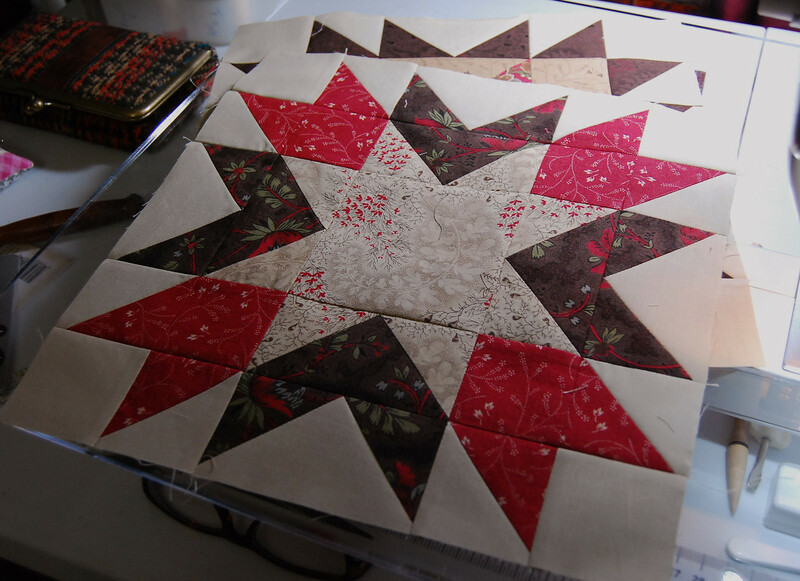 This weekend I tackled my 'late' block and pulled the fabric for the next one. Here is block 1, version #1. 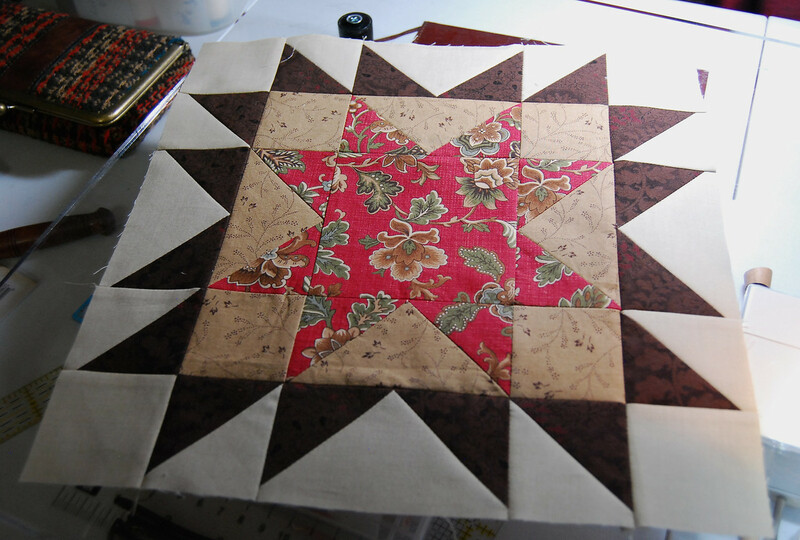 Believe it or not, version # 2 is the same block with a different fabric placement. I'm super excited that I'm able to join in. I need to upload my blocks on to the Flicker page Monique has setup for the quilt. Don't miss out, if you are on the fence, just go for it. You can get the info to catch up here: Blogger Girls BOM. 4 comments on "A BOM for 2013"
Maison de Garance, one of my very favorite families from French General. I made two quilts from that fabric line but seeing your Monique blocks makes me want to go track some more of that fabric down and make another one. Your quilt is going to be amazing. You've sat on that fabric a couple of years, I don't know how you did it, but I think you saved it for the perfect project. I"m so glad you're joining us. I need to get my month 3 blocks done this week. It's my favorite block so far! Thanks for adding your blocks to our Flickr page! I still have a bundle of that collection! You are making want to trot it out and make good use of it. I love how beautifully it works for this BOM. So glad you are joining in and can't wait to see more of your blocks. My favorite fabric ! Your blocks are gorgeous !